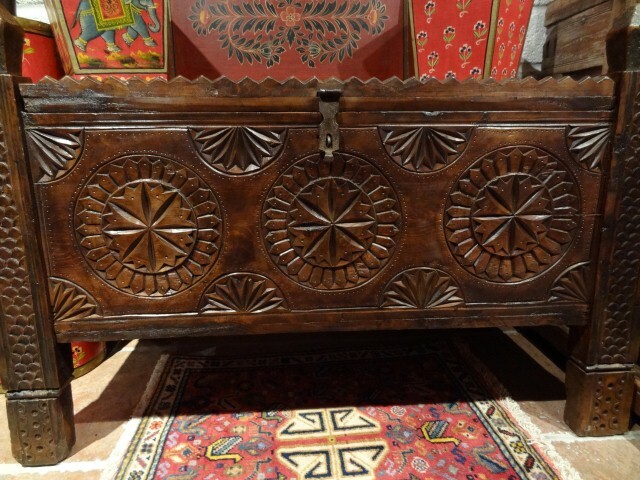 Hand carved chest made from deodar pine. Dimensions height width. The top lid opens upwards.